I learned today that there is a new book in the works by Alice Starmore called "Glamourie". I can't find a link to it but will add one later if I see one. It's described as entering "the magical world of Scottish folklore". Glamourie is the Scots term for magic. I'm looking forward to. I've seen the front cover and, if it doesn't change, the cover sweater will likely be a cardigan/jacket that will be on my needles at some point in the future. In the meantime, I have the yarn for three other Starmores: Amphora (started, but I'm thinking of restarting and making it a cardigan with a modified drop or set-in sleeve), Eala Bhan and Meadowsweet. I do love her designs. Have you ever watched a show like Project Runway or the Great British Sewing Bee and wondered if a similar knitting show could be done? Well, the Danish have done it. 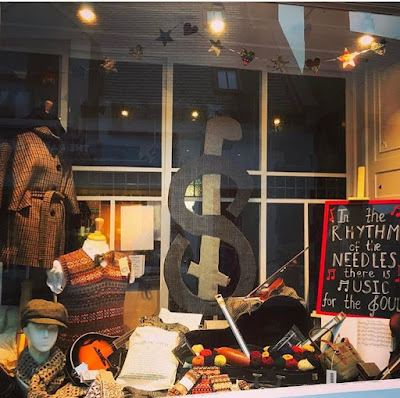 The show is on You Tube and called "Den Store Strikkedyet" or "The Great Knitoff". I watched the first two episodes of season two. The first episode is all in Danish, but the second one has subtitles and it's not at all difficult to follow along. 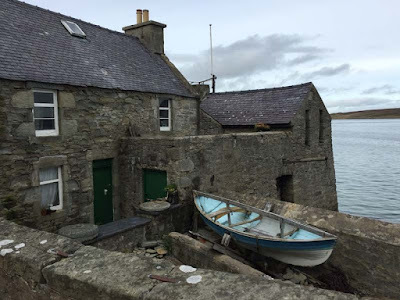 For those of you who have watched the Shetland TV series, the good news is that the fourth season is now being filmed. I learned that today they were filming outside of the Ninian store. I'm looking forward to watching it - soon, I hope. With a new month starting, I've cast on for two new projects. 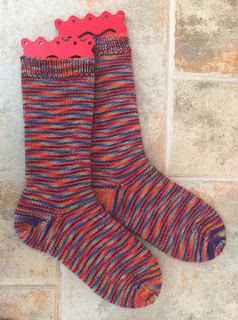 The first is a knitalong with the Solid Socks group on Ravelry. The color for this month is orange, a color that I'm quite fond of. My yarn is not just orange, it's ORANGE! 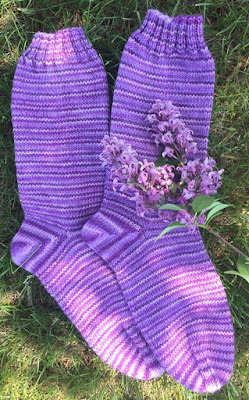 I'm also doing a mini-knitalong with my friend, S. We're using the monthly sock yarn offerings from The Loopy Ewe for 2016 to make a project each month in 2017. 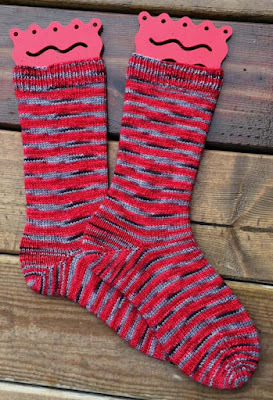 I've been sticking to socks for my projects. For May the color is "In Love With Lilacs". I cast on last night and have made pretty good progress today. Both pairs of socks have a May 31st deadline. 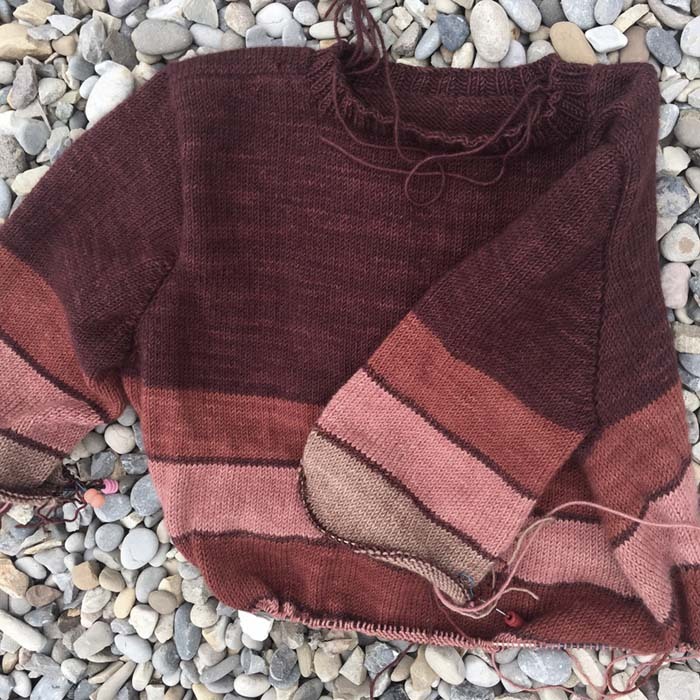 It seems like every knitter and knit shop I've seen on the web lately is going to participate in Joji Locatelli's knitalong. 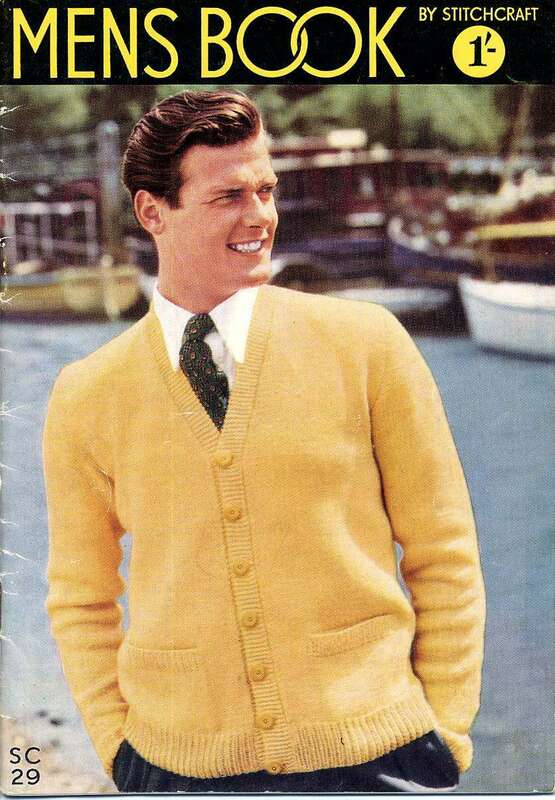 I must admit that I was tempted but with a couple of sweaters and socks on the needles, I was good. I'll watch as others knit. 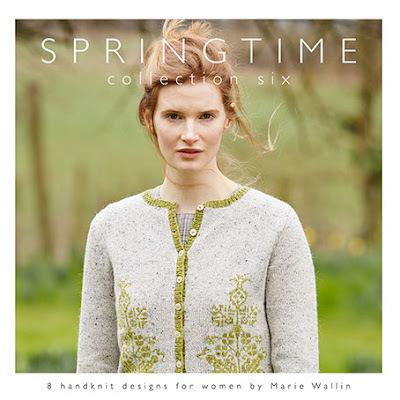 Have you seen the book "Springtime Collection Six" by Marie Wallin? 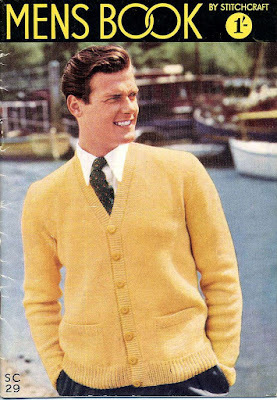 I'm drawn to almost every sweater in the book. For now, I'm just admiring! My next Marie Wallin design is going to be "Lovage". The yarn is waiting for me and I can't wait to cast on. The shop Tea For You is closing around the end of May. There will be an online store going forward as well as a Yarn Truck. I hope that it's up and running in the first part of June as I'd like to check it out. I've seen one Yarn Truck in Nashville from the Haus of Yarn. I know that there is also one, Purlin' J, in my hometown of Kingston, Ontario but I haven't seen it. Now I'm off to turn a heel..... Thanks for reading. Okay, I admit it. I've been procrastinating about posting to my blog. 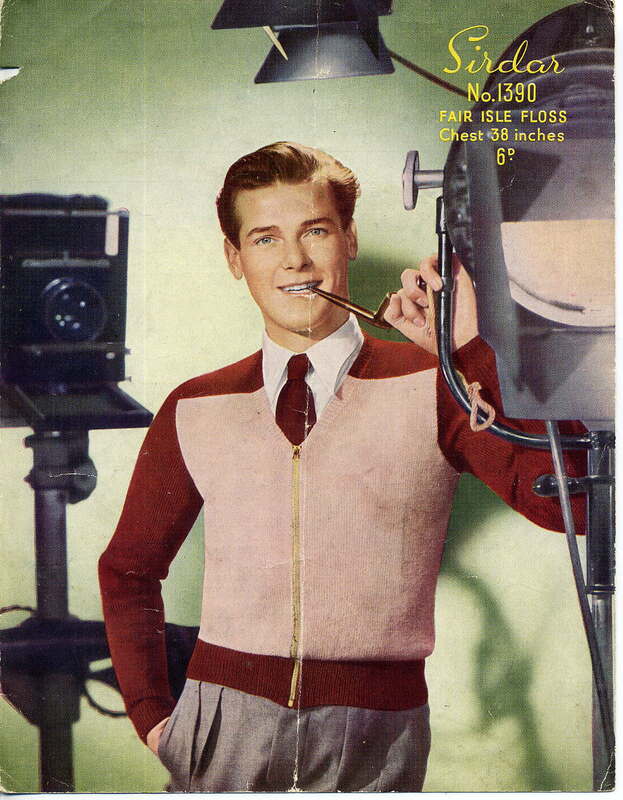 There has been lots going on in life, including a number of knitting projects. I've been getting my money's worth from one project in which I knitted, ripped back, knitted, ripped back again. More about that one next time as I need to take some pictures first. 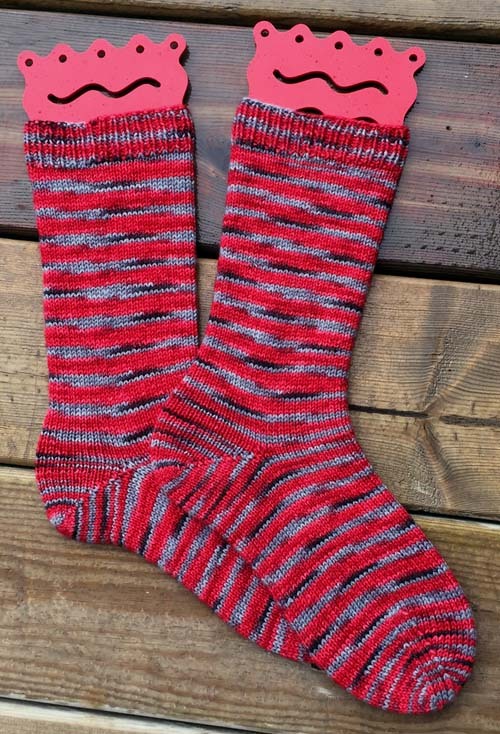 For now...I have a finished object (FO)... a pair of socks. I have lots of sock yarn and certainly didn't need another skein, but when I saw the color "From The Ashes" from local yarn company/dyers, Ancient Arts, I couldn't resist. Previous blog post and pictures are here. 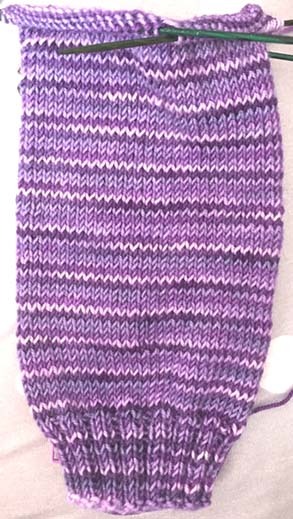 I used exactly half of the generous skein and next month the rest is going to a friend for her to enjoy. 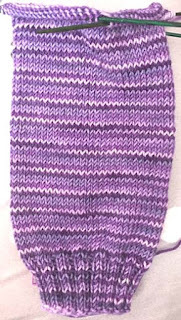 When I saw the skein I didn't know that it was going to stripe. That was a pleasant surprise. Note: The socks are actually a wee bit brighter than in the picture, a nice rich red. The colors in my earlier blog post are more accurate.